FreeComputerMaintenance.com is here again to help break down some of those confusing basic computer terms, to help prevent a slow computer and maintain steady mental operation for yourself. Last time we touched on hard drives, data, and OS (Operation Systems); this post’s phrase is going to focus on a common problem that you may hear online or in line at the local tech store — crashing. No, we aren’t talking about a collision of any sort, but rather the computer stopping in the middle of normal operations and becoming unresponsive or a slow computer. Let’s get the basic terms out of the way. 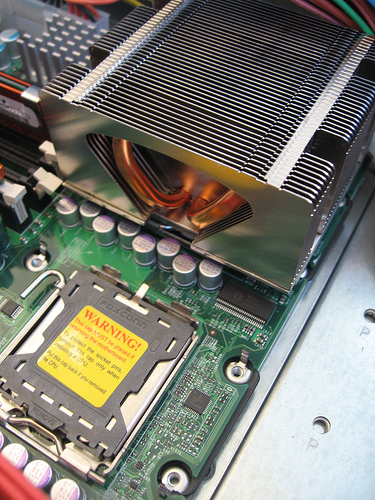 CPU (Central Processing Unit) – Is the part of the computer that does most of the data processing, but to most, is known as the computer itself. Memory – Computer memory is often confused with hard drive space. Memory refers the RAM (Random Access Memory) or devices used to store data or programs on a temporary basis as programs are being pulled up and used. Basically, it is like getting all the items to make a pie out of all the cabinets, draws, and refrigerators and putting them together to be used together. Crashing – Crashing refers to a computer stopping or freezing during normal operations. It usually can be fixed with a reboot, but sometimes has more serious implications. Computer Maintenance Software – Computer maintenance software can be any applications preinstalled like Disk Cleanup or found on the internet like Free Computer Maintenance, to help clean up your computer internally, achieving PC Optimization. This is accomplished by the deletion of old extraneous files, defragmenting or putting files in an easier accessible order, and by making sure your computer is not infected by a virus. To prevent a slow computer, you need to keep a well maintained computer. Software preinstalled and online are used to make a computer faster and last longer. These operations can be set automatically or performed manually. Sometimes adding memory can help optimize performance, but if you are not regularly performing computer maintenance, your upgrade may be ineffective.